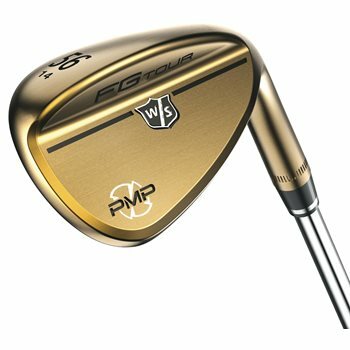 The Wilson Staff FG Tour PMP Oil Can wedge was designed for precision and control around the green. Featuring Precision Milled Performance technology, these wedges have widened, milled HM grooves for maximum spin on full shots. They also feature laser etched Micro Spin lines between each of those grooves to increase spin on partial shots. The KBS Hi-Rev 2.0 shaft features an active tip section that increases the effective loft of the club head, delivering a higher ball launch with more spin for added stopping power and accuracy.